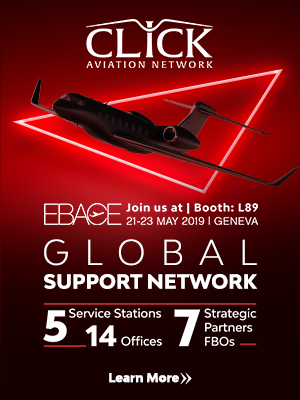 Airbus Corporate Jets (ACJ) is exhibiting an ACJ319 at the MEBAA show, highlighting the comfort and space on offer, and echoing the trend towards larger cabins in new-generation business jets. Operated by Acropolis Aviation of the UK, which is upgrading to an ACJ320neo to benefit from improved fuel efficiency and range, the aircraft is offered for VVIP charter flights. 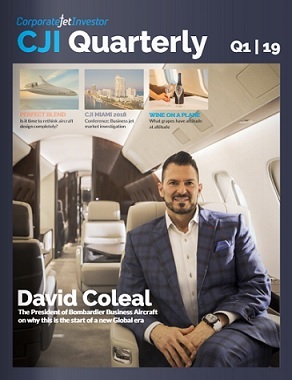 “What you get in the cabin, and being able to fly when and where you want, is the bedrock of business aviation, and being able to stand upright and move around freely – a trademark feature of Airbus corporate jets – makes a huge difference to enjoyment and productivity,” says ACJ President Benoit Defforge. Airbus ACJ320 Family aircraft have the widest and tallest cabins of any large business-jet, while being about the same size and delivering similar operating costs. New members of the family, such as the ACJ319neo and ACJ320neo, feature new engines and wingtip-mounted, enabling even longer intercontinental flights in the best comfort and space that money can buy – as well as saving fuel and reducing operating costs. The first of these new aircraft, an ACJ320neo for Acropolis Aviation, successfully completed flight trials in November, and will be delivered for outfitting in the coming weeks. It will join more than 500 A320neo Family aircraft that are already in widespread airline service. A total of 11 ACJ320neo Family aircraft have been ordered to date, from customers that include Acropolis Aviation, Comlux, K5 Aviation and undisclosed customers. Continuous improvements mean that the ACJ319neo can fly eight passengers 6,750 nm/12,500 km or more than 15 hours, while the ACJ320neo can transport 25 passengers 6,000 nm/11,100 km or more than 13 hours. The Middle East is one of the biggest business-jet markets in the world, and was where Airbus sold its first corporate jet in the mid-Eighties. Around 60 ACJs are currently flying in the Middle East, comprising about 40 ACJ320 Family aircraft and some 20 VIP widebodies. It is thus a key market for Airbus’ VIP – such as the new ACJ330neo and ACJ350 XWB – which can carry even more passengers and fly nonstop to the world. 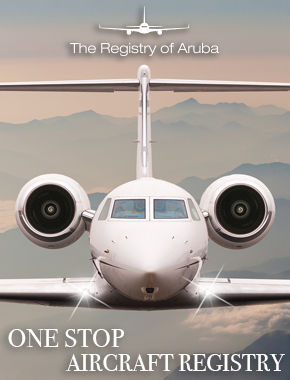 More than 190 ACJs are in service today, delivering the robust reliability and worldwide support that comes from their airliner heritage, plus services tailored to corporate jet needs.